This is a rare opportunity to own an historic home in one of Victoria's most desirable and established neighbourhoods. 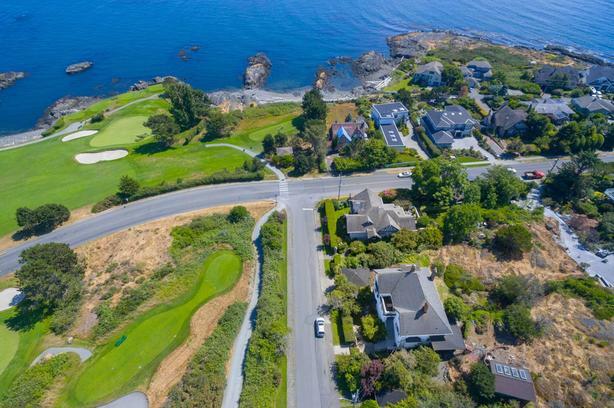 Set on a 12,249 sqft lot overlooking the Royal Victoria Golf Course and expansive ocean, island and mountain views, the location is fabulous. The spacious home could be upgraded and restored to its former grandeur or replaced with a modern contemporary home, designed to capture all the natural light and maximize the views from this stunning location. Step out the front door for a round of golf, or a walk to the beach or Anderson Hill. Living here within minutes of Oak Bay Village and Downtown.